This weekend at Target I spotted these wonderful magazine holders and snatched them up. (I would have bought more, but I could only find two). 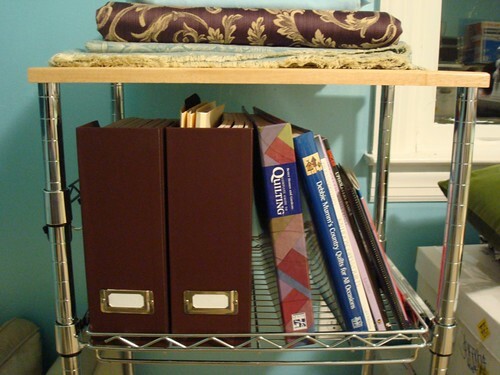 In putting my craft room together, their destined purpose became clear--to hold my quilting magazines, patterns, and sketches! Huzzah! They share a neat shelf with my quilting books which is not only convenient, but, being one of the first things you see upon walking into the room, should remind me to actually use them.